Boston motorcyclists have been waiting through a long winter to get back on their bikes. As the season warms up, the National Highway Traffic Safety Administration (NHTSA) wants to remind bikers and motorists to share the road and stay safe. May is Motorcycle Safety Awareness Month, a time for riders and drivers to remember to share the road, follow laws, and stay abreast of safety protocol to stay accident-free this riding season. Motorcycle Safety Awareness month is an opportunity to remind all drivers and riders that we have a responsibility to be aware of other vehicles on the road. Taking this time to remember to driver safely can help prevent future accidents, injuries, and fatalities. Our Boston motorcycle accident attorneys are dedicated to protecting the rights of victims. We are also abreast of safety initiatives and directives focused on keeping Massachusetts riders safe. If you or someone you love has been injured in a motorcycle accident, our legal team is also prepared to aggressively defend your interests to recover the compensation necessary in the wake of a serious collision. According to the NHTSA, 80 percent of motorcycle accidents result in injury or death. This figure is much lower for automobile accidents (only 20%), underscoring the reality that riders face significantly more risk when involved in a crash. Other factors, including visibility, can also make riders more susceptible to crashes, injuries, and fatalities. Motorcyclists are harder to see than other motorists in cars, SUVs, or trucks, so it is important for other drivers to be aware of more riders on the road during the spring and summer months. It is not uncommon for a driver to misjudge how close a motorcycle is or how fast a biker is riding, which can make it more difficult to prevent a collision in the event of an error. After a long winter, drivers may get used to roads without motorcycles, making them less wary, especially in the spring and early summer months. May is the time for riders as well as motorists to be alert and prepared. Whether driving in the city, on country roads, the interstate, during the day or at night, it is important to watch out for motorcycle riders. According to the NHTSA, motorcyclists are 39 times more likely to die in an accident than a passenger in a car. The injuries sustained by a rider are usually more life-threatening and can be permanent. Drivers should remember to check mirrors and blind spots. 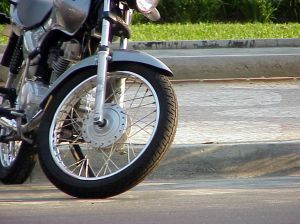 The majority of motorcycle accidents occur at intersections or during a lane change. In addition to driver awareness, motorcyclists should also be cautious. Don’t assume that a driver sees you. Riders should also be careful of turning too fast or otherwise losing control of their bike. Remember that a high number of motorcycle fatalities involve single vehicle accidents. There are important precautions that driver and riders can take before heading out on the road this season. Always watch your speed, be wary of your surroundings, and never drive while texting or distracted. Riders should wear protective gear and be proactive to stay visible to other drivers. Of course, both motorcyclists and drivers should never drink and drive. Contact Boston attorney, Jeffrey S. Glassman, for a free and confidential appointment to discuss your rights. Call 1-888-367-2900.